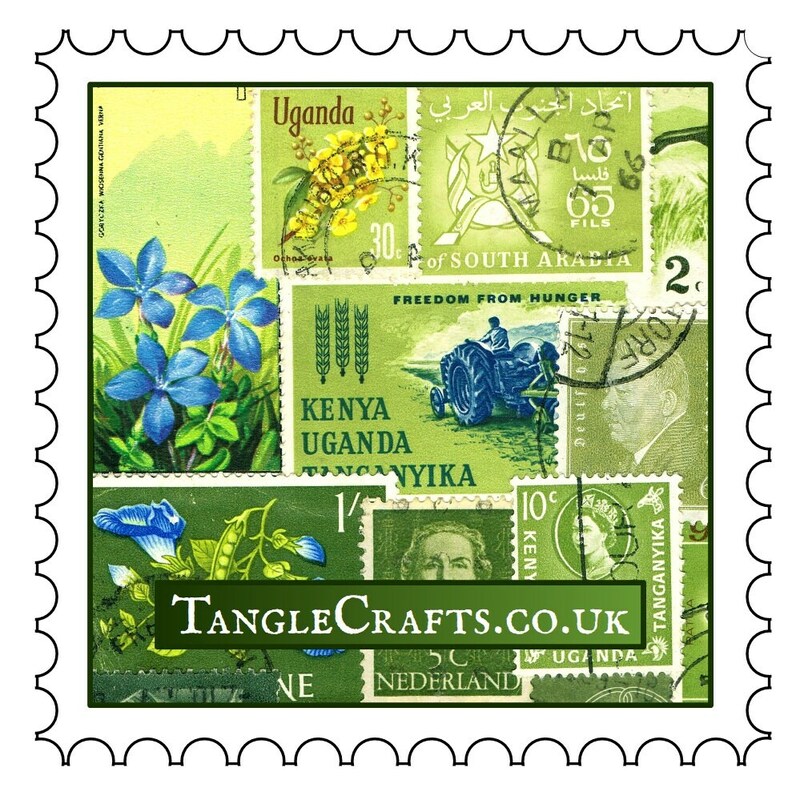 The colourful postage stamp collage design provides a real sense of history and vintage travel. 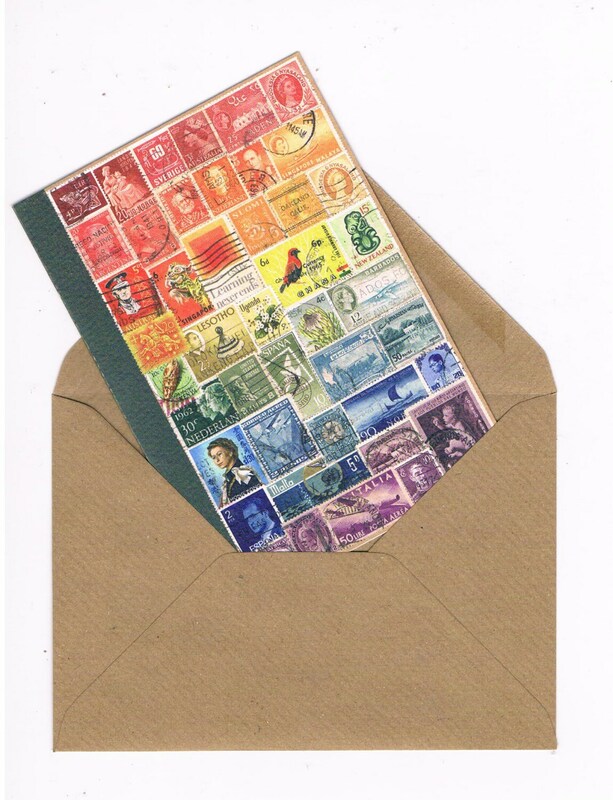 Perfect as a farewell / Bon Voyage card for somebody about to travel the world - yet the abstract landscape design is also nicely non-specific, and lends itself to use for almost any purpose: Birthday, Mother's / Father's Day, Good Luck, Thinking of You, Thank You etc... 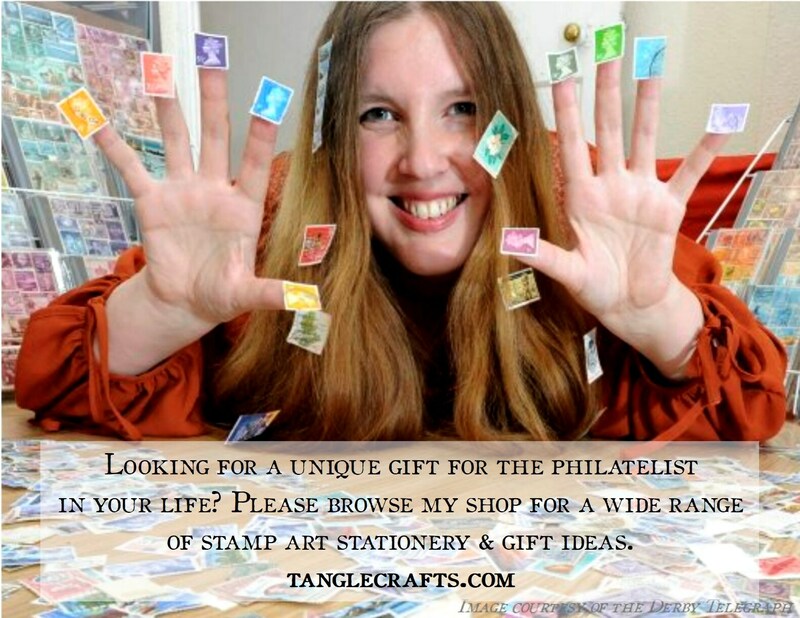 This card will appeal to stamp collectors, history buffs, writers, travelers, and hippie, new age souls (think chakra!) alike! 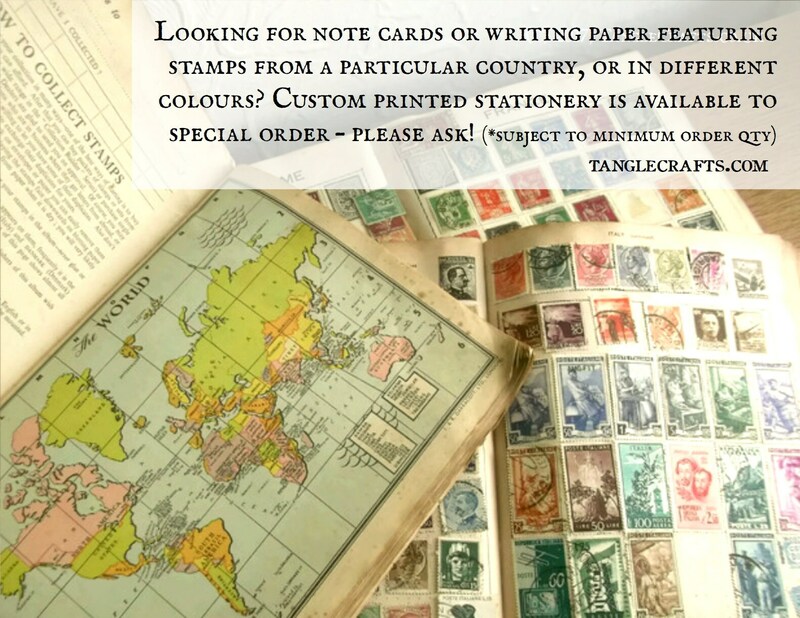 - Choose 'Set of 4 - Same' from the drop-down list to save on postage cost! - Save even more by choosing 'Set of 4 - Random' for a mixed selection chosen for you at random from all those shown. 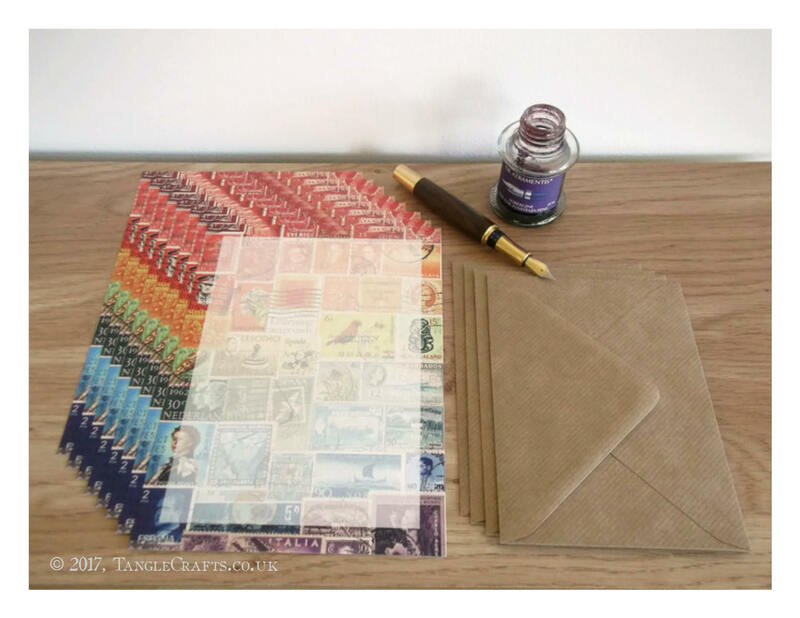 This single-fold notecard with ribbed kraft envelope features a design reproduced from a collage of upcycled postage stamps by TangleCrafts. 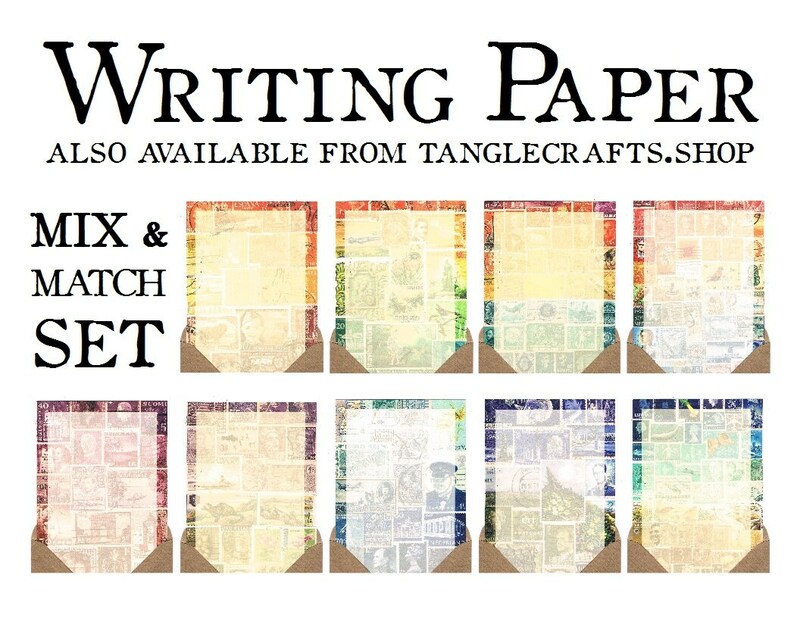 The original collage was featured on the cover of a notebook/journal (see my other shop items for ooak notebooks! 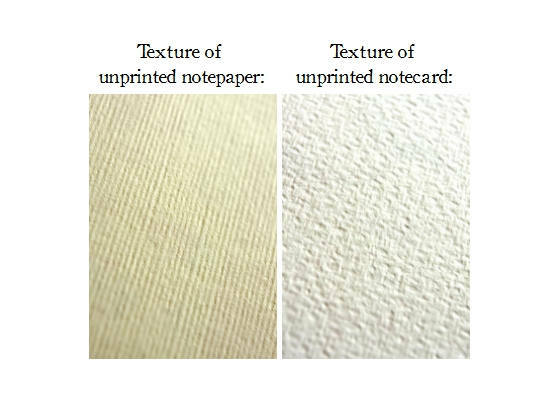 ), and this notecard is designed to retain the notebook 'feel'. 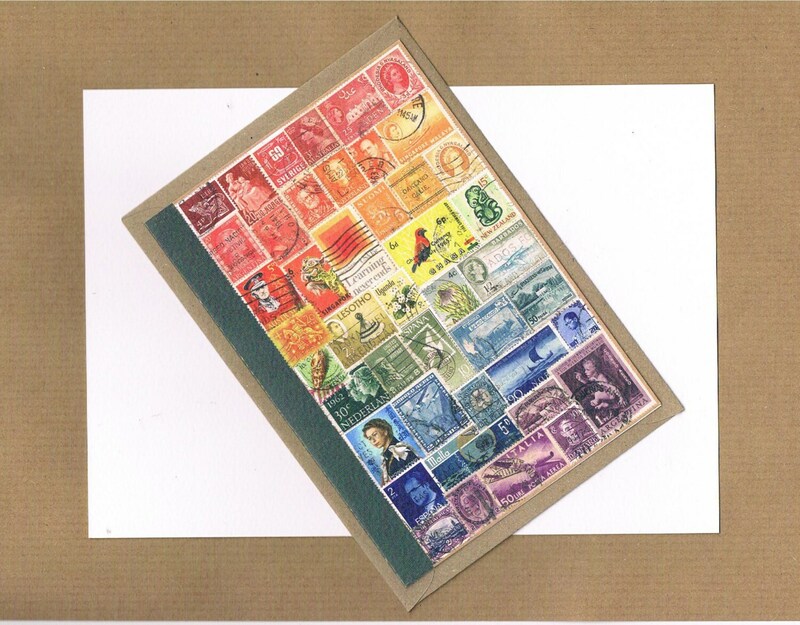 The front features a matt-finish print of the collage, and the back reproduces the kraft cardstock of a notebook's back cover. The inside of the card is not printed: it is left blank for your message. 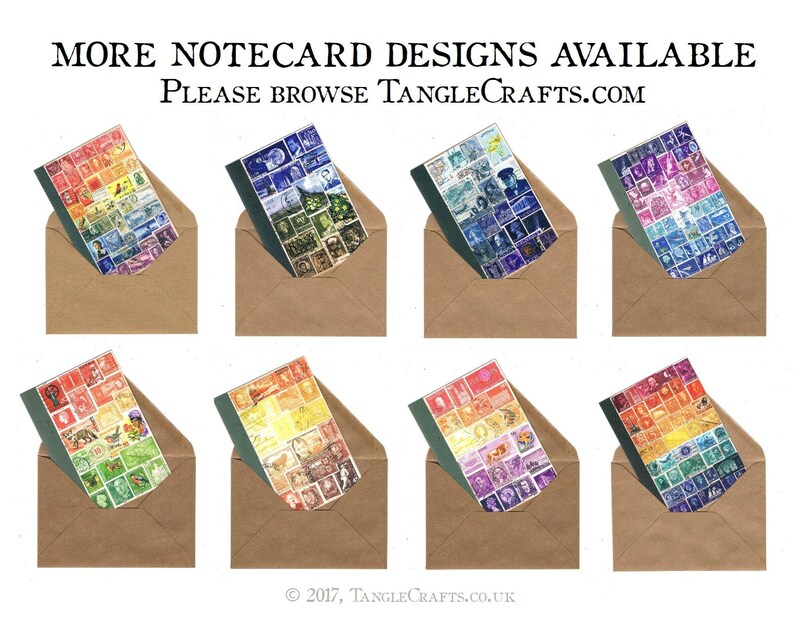 Please note, the inside of the card is WHITE, not kraft brown - see pics 2 & 5 (pic 5 shows front of a different card in my notecard series, but interior is the same). 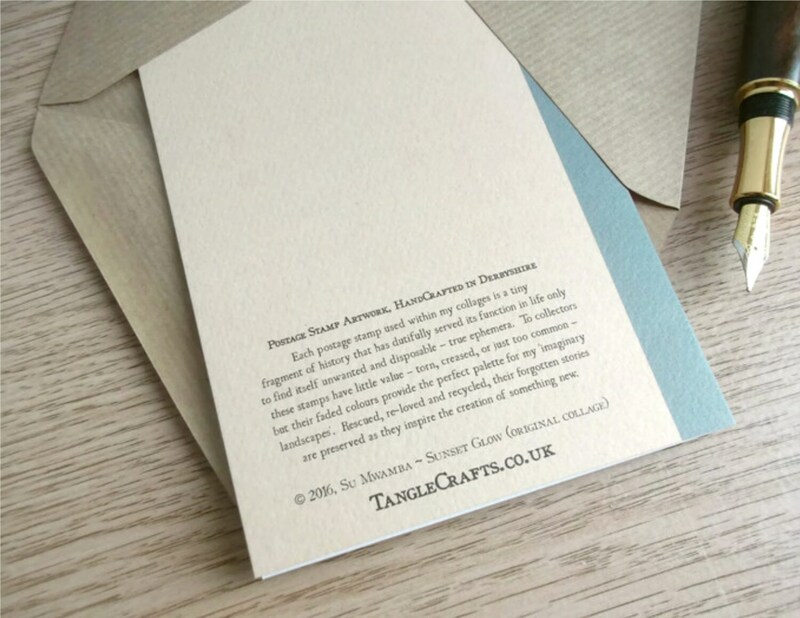 The notecard is made from 250gsm Italian cardstock, 'tintoretto gesso', which has a wonderfully tactile, lightly 'hammered' texture. It is a fountain pen-friendly surface, lovely to write on! Love them all, thank you so much! I will be back soon!